The relative strength index is the most commonly used tool for discerning price momentum. The RSI, or relative strength index, is a popular form of technical analysis that helps investors predict price movements and identify trends. It provides a framework for identifying when stocks have been overbought or oversold, thus indicating a possible reversal of price movement momentum. When mapped alongside the underlying stock price, it can also reveal divergent patterns and identify the proper timing for the purchase or sale of a stock. The RSI is calculated by a mathematical formula that takes into account average gains and average losses from a moving 14-day average. Over time, these averages are blended together to create a more accurate depiction of trading activity. The RSI will show more reliable data for stocks that have longer histories than for those that have just gone public and have yet to develop a trading pattern. The RSI value can range from 0 and 100, with 50 considered balanced, anything below 30 seen as oversold and anything over 70 labeled overbought. When the RSI reaches the upper or lower levels of the band range, it tells investors that the buying or selling pressure is reaching a breaking point and should collapse. For example, if a stock shows an RSI of 75 and the price has doubled in the course of a couple weeks, it may have appreciated in value too quickly and be due for a pullback. When divergences occur, they indicate that price momentum is set to shift in the opposite direction. For a divergence to be a bullish sign, the stock price must hit a new low while the RSI forms a higher low over the same period of time. The data will show a shift in momentum as it does not give relevance to the new low in the stock price with a new low in RSI. For a bearish divergence, the stock price must hit a new high while the RSI forms a lower high. Again, the data shows a momentum change because it doesn't confirm the new high for the stock with a new high in RSI. Another signal in RSI is variations above or below 50. Crossing over that barrier, whether higher or lower, is a simple indicator that reversal forces may be acting on the security. 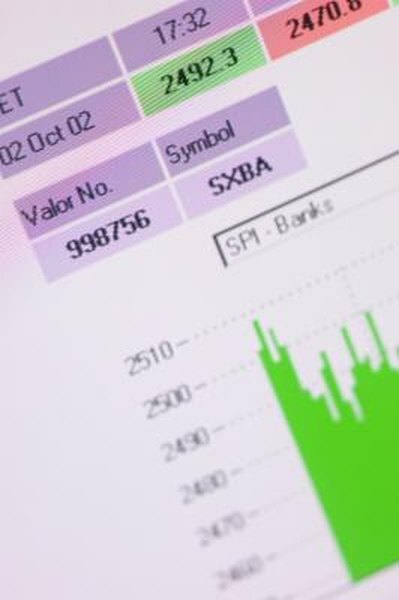 Any financial media outlet will likely talk about stocks being overbought or oversold on a daily basis, and the rules can be applied to not only stocks, but indexes like the S&P 500 as well. In technical analysis, momentum is given such weight that the RSI is looked at by most analysts to confirm buy and sell signals. Technical Analysis of Stock Trends; Robert D. Edwards, et al.